When it comes to vanilla, it is possible that I am something of a purist. Though I do enjoy novel approaches to framing the bean, ultimately, I don’t usually want anything extraneous getting in the way of my pleasure. For me, the vanilla, preferably of the best possible quality, should be enthroned at the heart of the perfume, and all paths should lead inexorably to its magnificence. I also realize that I am sometimes being a titillator with my tales of the Tokyo flea market and its treasures (which have really buffered up the bounty of my perfume cabinets over the years), and I am not entirely sure either what the Perfumista Ethical Committee take is on describing perfumes that are impossible to find, but Vanille Des Isles, by the mysterious Parfums De Tahiti, is a very good example of a ‘pure’ vanilla, if not quite what you might expect from its name. From all accounts, Tahitian vanilla is more delicate, floral and exquisite than its Malagasy counterpart, so I assumed that this scent, which was just sitting there at one stall at the flea market one day, would be light, monoï-ish, breathed upon by coconut winds. Instead, it is a perfect example of a boozed-up, smoked, and very full vanilla, as though strands of tobacco and well-cured vanilla pods had been steeped for years in caskets of rum. I can’t say it is an easy wear: the vanilla within smells almost toasted, and it is masculine enough for a pirate, but it smells so natural, expansive and rugged, that if vanilla perfumes like this really are available all over the islands, you can put me on the first plane to Papeete. Similar in its theme if not in its execution, this love-it-or-hate-it creation by Bertrand Duchaufour is so quirky and divisive that, according to Perfume Shrine, it is soon to be discontinued. I am afraid I belong to the haters: I detest Vanille Absolument. In fact when I went to Isetan department store in Tokyo recently with a friend, he was also so aghast upon spraying this curiosity on his hand that the horrified look on his face was priceless, the clear aggravator being those top notes from vanilla-bound hell. Where some get rum, leather, and cigars (and I know this is very well regarded, so truly, honestly, I was trying), I myself sense only the fresh-air smell of hung-out laundry and excited dogs that have been running about in the cold – and I can tell you very sincerely that the wet canine whiff is not one of my favourite smells in the universe. My friend Nina pictures the inescapable ozonic note differently: for her, it as though a child had just spilled a vanilla ice-cream cone onto his freshly washed T-shirt; making it liberating, carefree; and while it is true that the vanilla, when it eventually frees itself, is somewhat gorgeous, for me it is more like frustratingly peering at petridished vanilla pods (knowing they are in there, smelling delicious), through a upside down, thick-glassed bottle full of lab-quality oxygen. They are there, trapped in that space-age chrysalid, and will eventually be released, dreaming their android dreams of cloves, narcissus, and dried fruits; the problem being (if there is one) that I simply don’t have the money, the inclination, or the patience, to wait for them. This entry was posted in CB - I Hate Perfume, Fragrance Reviews, L'Artisan Parfumeur, Sweet Little Thing, Vanilla and tagged Bertrand Duchaufour, CB I Hate Perfume, Christopher Brosius, Fragrance, L'Artisan Parfumeur, Madagascar, Perfume, Review, Vanilla. Bookmark the permalink. I think I make a mistake in using the word ‘ozone’, because I am not for one second referring to the calone-infused horror scents of the nineties and beyond, but to LITERAL ozone, that of fresh air, which is beautiful in a way, but which for some reason I find completely horrifying. I wouldn’t even spray it again on myself which is why I had someone else do it instead! And even on tissues, the perfume (which fascinates me, to be honest, I do keep sniffing it) is just destroyed by whatever it is that creates that air smell. The fact that your subconscious smell brain rooted out the rum and had you unthinkingly ordering a midday rum is a wonderful snippet in my view: the perfume spoke to you Nina. The rum thing was strange! What I didn’t say on the last post was that after the first rum (a Havana) I went straight into a different bar and ordered myself a Navy rum! I hardly ever drink rum like that if ever! It was definitely the perfume! Lovely….cannot wait for your trip as I am sure upon its return you will be inspired to write just that much more about one of the most comforting scents I know! If we make it back alive. I am seriously worried about a whole load of things: crime, plane crashes, disease….my neurotic hypochondriac side is roaring to the fore. Some pods from the site!!!!? Now we’re talking! Don’t worry too much…I am sure all will go well and the two of you will have a marvelous time! Thanks so much. I hope The Black Narcissus isn’t too much for you! Neil, you write just as wonderfully about the things you don’t like as the things you do! I did try very hard to get VA but I gave up. I didn’t hate it but I didn’t love it either. I’m not sure if it was the fresh air thing, I can’t really remember. But I definitely got those plastics and paint strippers at the start of 7 Billion Hearts. It made me feel better to know you got that too. I would have so liked to get the smoke instead. The base is the most gorgeous vanilla I’ve found but I can’t justify the cost for something I really dislike in part. Your flea market sounds like a great source of fragrant finds! It really is, it KILLS me ( I wrote a whole thing about it on the Narcissus ), but it doesn’t yield every week. You go, there is nothing, and the next week too, and then suddenly you turn a corner sometimes and there is just UNBELIEVABLE SWAGGER THAT MAKES YOUR HEART FEEL LIKE IT IS ABOUT TO BURST…. And I always end up spending more than I plan to or even realize…but when you see some vintage parfum sitting there, and you know how rare and precious it is now, and it is only about 30 dollars, or possibly 10, how can you not buy it? 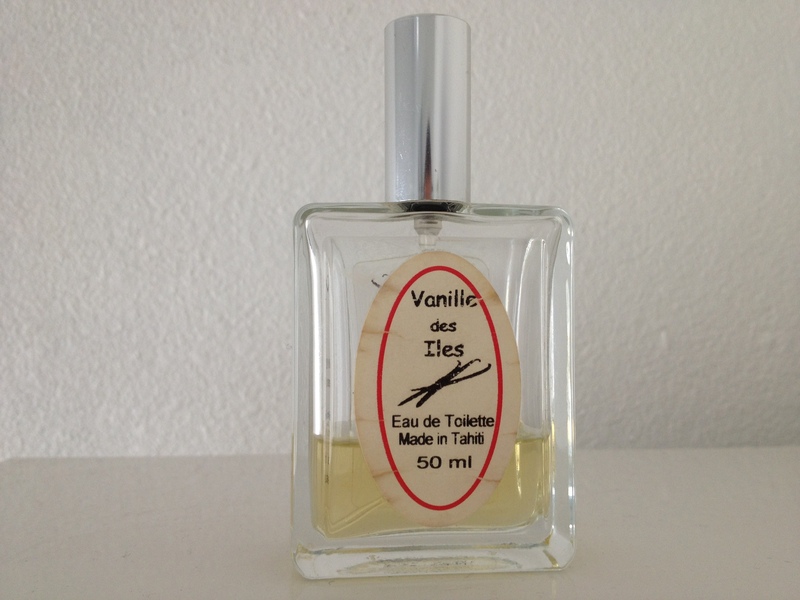 Usually it is old perfumes that people have had stashed away in their boudoirs for decades, but sometimes it is things like Vanilla Des Isles, which have presumably found their way from Tahiti and then to Japan and then my loving arms….. I get palpitations just thinking about that place. I am not going this Sunday for example. But what might I be missing………? Do such places exist where you are? Well I think you’re from England too right? So unless you’re prepared to trawl car-boot sales with little chance of success, then no! Make the most of that market while you can. I think you’re absolutely right not to pass up those finds, especially at those prices. Do you have any suggestions for more vanillas I haven’t covered yet?! Wow, I have loved this series. I’m one of the people who swoon over 7 Billion Hearts, but I think that your comments are entirely accurate. The Sawdust accord is pretty overdone, and that has kept me from ordering a full bottle. I’ll just go along with a 2ml for a while. But still, when the vanilla is released, I swoon every time. By the way (to try to entice you into posting Part VIII right here!) what are your thoughts about the Mona di Orio Vanille? I also hear that one available through Sephora, Lavanila Pure Vanilla, is actually good and not very sweet. Know anything about it? Have a great trip, and don’t forget to let us know what it was like. Her creations confuse me on the whole, though they fascinate – what new angle did she bring to the note? Goodness I forgot ALL about the Lavanilla series (all natural) that sells at Sephora..Vanilla Coconut, Vanilla Blackberry, Vanilla Passionfruit, Vanilla Grapefruit, Vanilla Lavender and straight up Vanilla. I have no idea if they are any good as I have yet to try them. However, my next go round at Sephora (if I FINALLY get my vials) I will steal a few spritzes for you! Ah.. the list just keeps getting longer and longer in what I want to send to you 🙂 !!!! I NEED to smell them!!!!! To my nose, she incorporated a smoky-woody accord into a vanilla perfume more skillfully than anyone else has done it. It recreates the experience of cutting and scraping a vanilla bean, with the earthy-woody-fermented smell of the pod combining with the glorious scent of the goo inside. The vanilla itself is excellent quality, which helps. I think that since you love the Farm. de Annunziata Vaniglia (I do too! ), you will probably love hers as much or more. Hers has some spice touches that are really well done. I hate spice notes if I can clearly pick them out as kitchen spices, which does not ever happen here. I’m with you on the other Monas, I’m sorry to say. I have samples of Tubereuse, Rose Etoille de Holland, and Vetiver, and while I admire them as new imaginings of a particular scent, I don’t find them pretty or wearable. The Tubereuse in particular smells to me as if she was playing around with aspects of how pure tuberose absolute smells undiluted, but I don’t care for that smell at all, although I love it incorporated into perfumes. But the Vanille will surprise you. This really does sound utterly essential, especially seeing that our tastes are similar. Thanks for the recommendation! I could make a sample for you, but I’ve never sent perfume outside the US and don’t even know if it’s legal. If you want to try and can instruct me in the process, you can email me at wooddogs3 at gmail dot com. What a splendid review. i have been lapping up your vanilla series like Billy Bunter with a rather large ice-cream cone! 7 billion hearts. Wowsers. Sounds like a rather splendid Bond film! The perfume itself, unfortunately, reminded me of a rather dull Sunday spent creosating a wooden fence. Needs must. 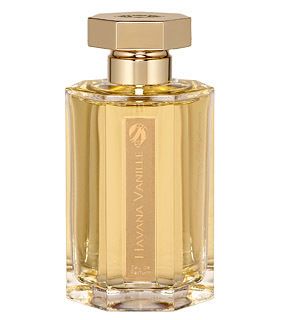 Havana Vanilla sounds rather jolly. Nothing like rum and a shaggy great dog! So glad to have my horrors of 7 Billion Hearts confirmed! It is, indeed, like creosoting a fence or being murdered in a home centre! I can’t believe I missed this post when it came out. I am relieved to find someone else feels the same way I do about 7 billion hearts. I almost bought this unsniffed because of the glowing reviews and my mania for vanilla. This one breaks my heart because the vanilla trapped in that formula is so beautiful and exactly what I am missing in my other vanillas. Unfortunately the chemical “smoke” note smothers the gorgeous vanilla and never lets up. I am very used to waiting several hours for a beloved dry down, but the smoke last alllll the way through on this one. Oh well. Actually, the Aveda vanilla oil is very close to the vanilla at the heart of 7 billion, so I get my fix that way.